We are a full scale florist and gift shop offering daily deliveries to the entire Lehigh Valley. We deliver floral arrangements, plants & fruit baskets. We also deliver any of our unique gifts. Specializing in weddings, our wedding delivery areas include N.J., Philadelphia and the Poconos. 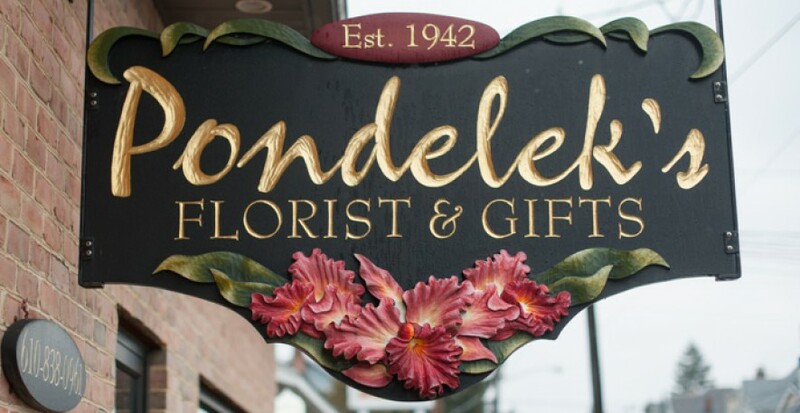 Pondelek’s Florist & Gifts is a 3rd generation family business since 1942. The goal of Pondelek’s florist is to provide superior quality and service. Attention to every detail is a must! If requested, our customers have the unique experience of going into our walk in cooler and choosing stems of flowers. The gift shop focuses on unusual gifts not found at box stores.